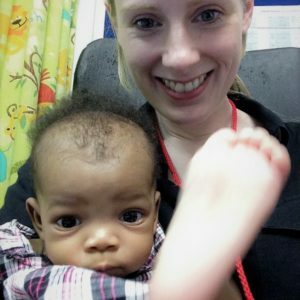 Why do an OOPE / OOPT in at the Red Cross Children’s Hospital in Cape Town? Personally I wanted to gain a different experience of Paediatric Surgery and this unit had been highly recommended by colleagues that had visited before me. 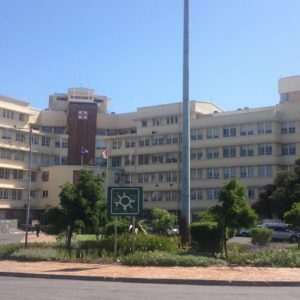 The Red Cross Children’s Hospital is a quaternary level paediatric hospital and manages the full spectrum of paediatric surgery; including neonatal surgery, hepatobiliary, liver and kidney transplant, oncology and all the gastrointestinal surgery. 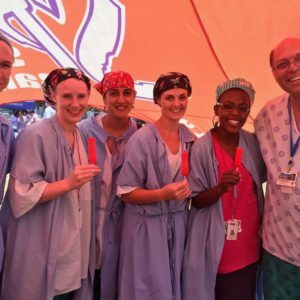 South Africa has a varied population and therefore a wide variety of different pathology and a high volume of trauma. The hospital also receives referrals from other countries in Africa including more unusual pathology such as conjoined twins. There is also an option to rotate through the burns ward and even if you don’t take up this option, when you are on call you will manage acute burns patients. There is busy workload with greater scope to operate independently, yet always being supported by experienced consultants. I was working as a paediatric surgery registrar and treated exactly the same as the local registrars. Usually I was allocated to 3 elective theatre sessions per week, but sometimes more when colleagues were on leave. Alongside I participated in clinics (2 per week), ward work, educational and departmental activity and meetings. Mornings can be busy; the working day starts at 7am with the registrars and SHOs dividing up and seeing all the patients prior to the handover at 7:30am. This is then following by a consultant led ward round where each patient is presented by whoever saw that patient earlier. Daycase lists and the endoscopy list are registrar led, usually with an SHO or medical student assisting. Elective theatre list will have a consultant allocated. Morning lists are finished by 1pm and afternoon list are finished at 5pm. An emergency theatre runs continuously as needed. The oncall rota is run as a two-tier rota, with a junior registrar oncall and a senior registrar on call. The junior rota usually consists of the rotating general surgery registrars, as often they have very little or no previous paediatric experience, while the senior rota is staffed by the paediatric surgery trainees. As a paediatric surgery trainee, as soon as I had settled into the department, I was put on the senior oncall rota. This consists of a 1 in 4/5 with 24hour oncalls and 72hour weekends. During the daytime, when on call, you are also responsible for the emergency operating. You don’t usually get the day post on call off but when the department is fully staffed there is sometimes scope for taking a half day. Aside from the clinical work there is plenty of opportunity and encouragement to get involved in research projects. If you are keen to undertake research start this early in your placement as the process to register projects and get ethical approval can be lengthy and is required for all projects, including audits and retrospective case note reviews. During my year there, I undertook a retrospective review of children that had undergone colonic interposition. This has been presented at the South African Paediatric Surgery congress and at the WOFAPS congress, and more recently has been accepted for publication by EJPS. I had completed my ST5 prior to my OOPE. Personally I would recommend going during the second half of your training in order to maximise on the experience that you will gain. Application is for a supernumerary registrar post in Paediatric Surgery as is done through the Head of Department, usually by email. Once accepted by the department, there is a significant volume of paperwork to complete in order to get registration with the HPCSA (Health Professions Council South Africa; Medical registration body, equivalent to the GMC). This process takes 6-12 months and therefore arrangements and planning needs to start far in advance of the time you want to travel. The administrative staff will help somewhat with this process, however it is important that you are very proactive in organising paperwork and chasing things up. The first step is to apply to the FMWP (Foreign Workforce Management Programme) for them to endorse your application to work in South Africa. Additionally you need to apply to the EICS (ECFMG (Educational Commission for Foreign Medical Graduates) International Credentials Services) in order to have you medical qualifications verified. All of this then needs to be sent to the HPCSA, along with your application, for approval. Visa – I applied for a study visa. In order to apply for a visa you will need paperwork from the hospital, police check, medical certificate and a chest x-ray. However this seems to change fairly frequently so check online what the exact requirements are and start thinking about it early. You will have to make an appointment online for the visa application and will need all the paperwork to take with you. 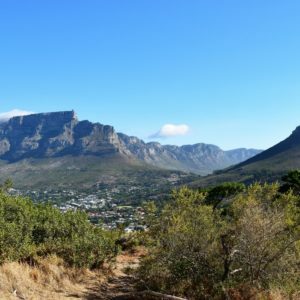 Medical indemnity – I am with the MPS and they have a South African branch, so it was pretty easy to transfer my membership over there for the year. Yes. I have gained a significant amount of both clinical and surgical experience, which I believe is invaluable to my training. Surgically, I have gained independent skills in upper GI endoscopy and colonoscopy. The majority of the operating I was involved in was usually as the main operator and, in particular for the emergency cases, often without supervision. This included cases such as malrotation, bowel perforation and obstruction, gastroschisis, exomphalos, Hickmann line insertion, stoma formation and stoma closure. However the consultants were always available if needed. My surgical skills and confidence, especially in intra-operative decision making, has greatly improved. Alongside the independent operating, I have had many interesting and exciting opportunities that I may not have had in the UK. I have been the first assistant in liver transplants and separation of conjoined twins and had the opportunity to perform tumour resections, pull-throughs and PSARPs under supervision. Main down side is that the job in unpaid! There are a few different places where you can look for funding or grants, including RCSEng, BAPS, RSM. Start looking early as many of them have application processes which only happen once a year and often you have to apply before you start the placement. Neonatal case numbers are comparable to an average sized centre in the UK but there are a few index cases that you won’t see much of, including oesophageal atresia and congenital diaphragmatic hernias. However you will have opportunities to be the primary operator in many other neonatal cases, including gastroschisis, exomphalos, NEC and small bowel atresias. Be organised, start planning and completing paperwork early as this process takes a long time and can be complicated by unforeseen difficulties. Go with an open mind and embrace the differences. Although there is plenty of opportunity to take on more responsibility, don’t be afraid to ask for advice. There is a lot to learn from the consultants, they have huge amount of experience. Many thanks to Kate Bradshaw for sending in this report.